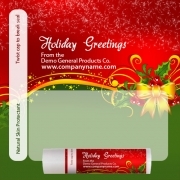 Holiday and seasonal lip balms are offered in variety of flavors and colors to suit the seasonal requirements and personal temperaments of the users. Advertisers who are stumbling into this arena to seek some value effective and cost effective lip balms can find it easier to strike their bet on preferred choices. As we offer organic, synthetic and combination of both within this category. 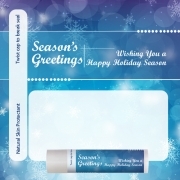 The choices presented here are also great for personal gifting and it can be handed out as an acknowledgement token at the end of some celebration or in the beginning of a season.